which need to be undertaken to achieve desired results. record keeping and breeding methods. only briefly touch on them here. Before you acquire your breeding stock, decide on what color or colors you wish to keep (or have space for). You need to choose a good reliable breeder who maintains only quality strains of the colors that you like. The cost may be high but the investment will be well worth the effort. The strain should be stable, breed true and contain stable (homozygous) genetics; i.e..
most of the siblings grow up to look like the parents. with a box or sponge filter and some form of refuge for the fry to escape the hungry parents. Most breeders maintain their strains by line breeding. such as one or two males with two or more females. keep track of the siblings and control unwanted crossbreeding with undesirable parents. Occasional to frequent crossbreeding of the lines is necessary to maintain the overall quality of the strain. When purchasing a trio request the females be from different lines. or the line which throws the most desired male characteristics. This way I can observe and record what the best features of the strain should look like. mated date and other pertinent information being recorded in a notebook solely for this purpose. Identify each female as either the “A” or “B” line. Label all fry tanks. Expect to use 6 – 10 tanks per color strain. date of birth and batch number, I, II, III and so on. with a variety of high quality flake foods is also a necessary factor. Growing fry need to be fed as often as possible in order to realize their fullest potential. and culling of undesirable individuals and moving the growing fish to larger tanks. Most of the females should be separated from the rest of the crop in order to give the males room to grow. I keep several females with the males so as to have hit females at all times just in case of a disaster. New breeding stock is separated at about 4 months of age (depending upon the strain). inbreeding semi-cross line breeding and occasional outcrossing. By Luke Roebuck All rights reserved. 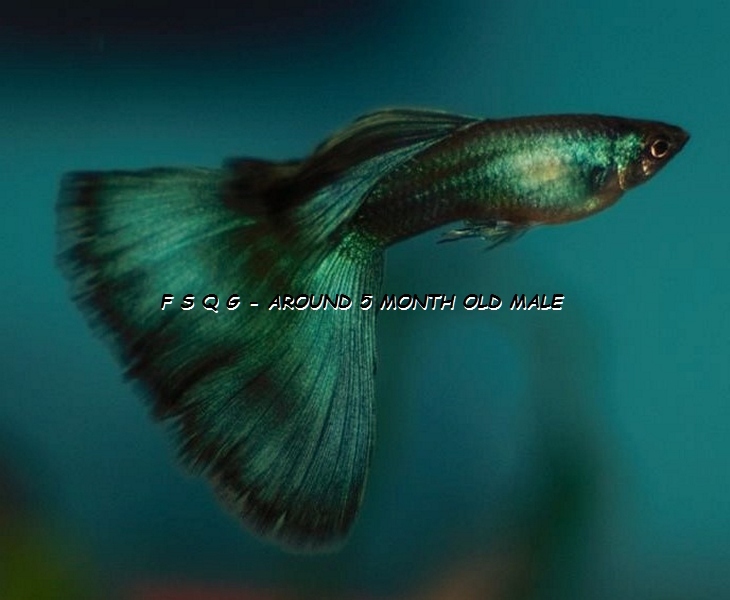 This entry was posted in Guppies - breeding and tagged Guppies, Guppy, maintaining a colors strain. Bookmark the permalink.